According to Moonalice legend, we in the Moonalice tribe pride ourselves on cleanliness … we believe a shower and a sauna are milestones on the path to enlightenment … alongside daily flossing and putting the toilet seat down. We have played a wide range of venues over the years, but this is our first time at the Ritz … or any other bathing complex, for that matter. 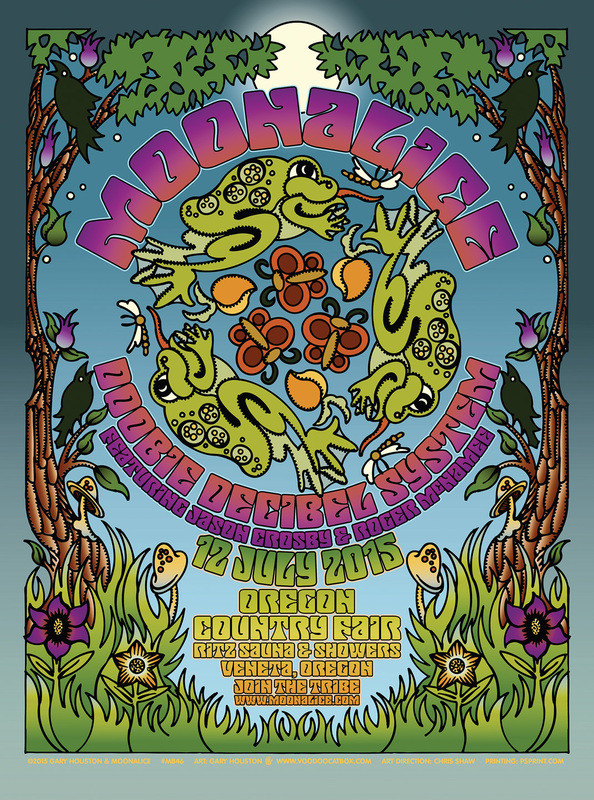 There is nothing like playing to a roomful of wet, naked people to help one appreciate the unique nature of the Oregon Country Fair. 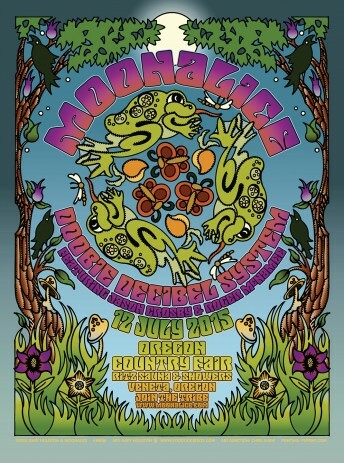 As tonight’s poster by Gary Houston shows us, putting on the Ritz at OCF is likely to involve encounters with a variety of plant and wild life. Our advice is this: kiss the frogs; eat the 'shrooms. This was a private event with no photos or live stream.